Countryside at rear with wonderful countryside relaxing views. 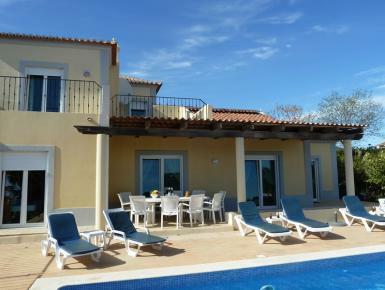 Spacious luxury family villa, 4 bedrooms, 4 bathrooms, sleeps 10 using one portable cot and one portable bed. Heated pool with night lights and roman end for easy access, aircon and free WiFi. Superb games room with 8 ft pool table, table tennis, darts, step machine, table top football, sofa seating, family games, books, DVDs and golf clubs. New is a vintage Arcade machine with 60 games. Lots of toys for young children. Something for everyone we hope. The 10m x 5m heated pool is south facing for maximum sun, has night lights and is surrounded by a fully furnished terrace with deep shade for hotter months.